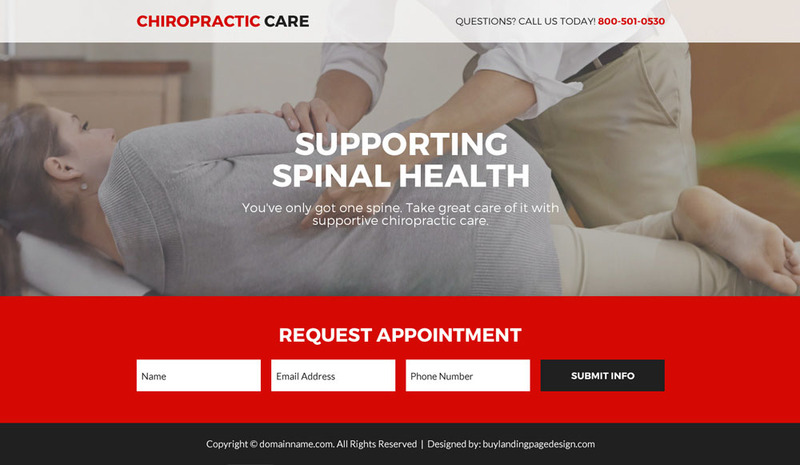 Promote your chiropractic treatment online with our modern chiropractic services landing pages. 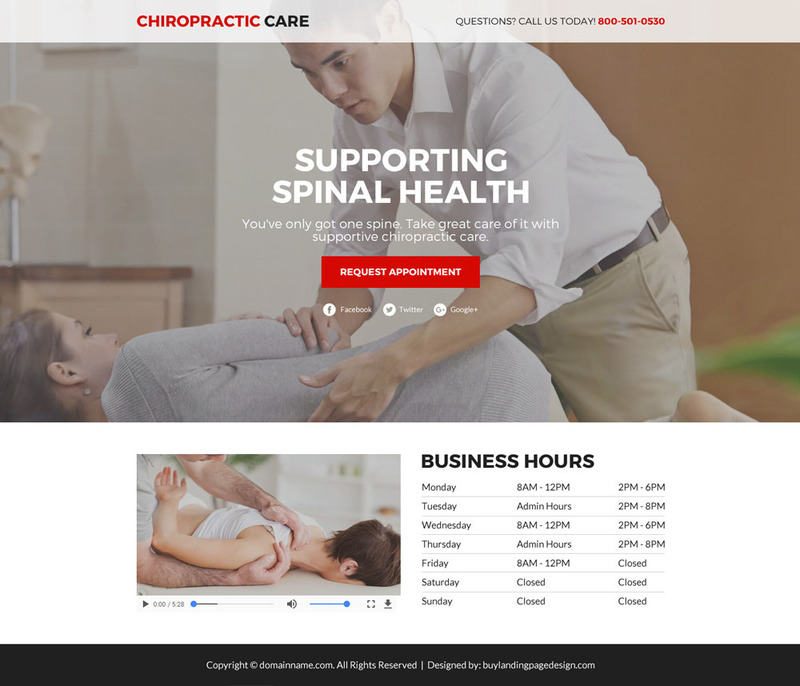 Capture quality leads for your chiropractic treatment service online with our modern, informative and clean chiropractic care landing pages. 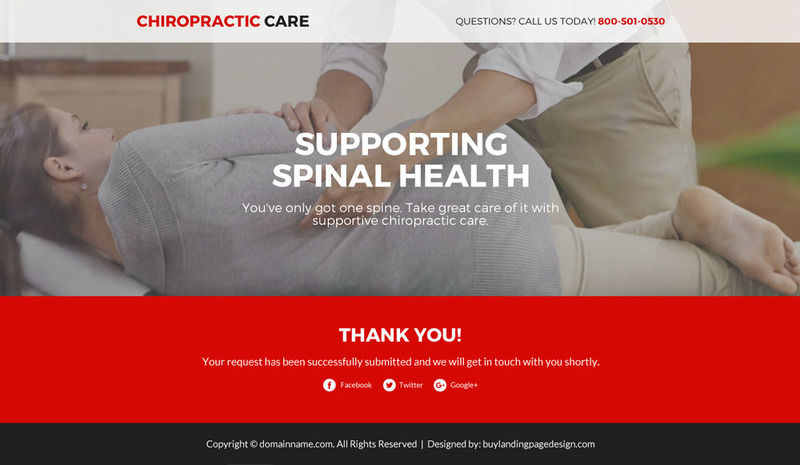 Capture high quality leads for your chiropractic treatment service online with our chiropractic care lead funnel landing page design. Our lead funnel landing pages are hand coded and SEO friendly, you can easily edit them in any HTML editor like Adobe Dreamweaver or similar. Our lead funnel landing pages are affordable and converting.